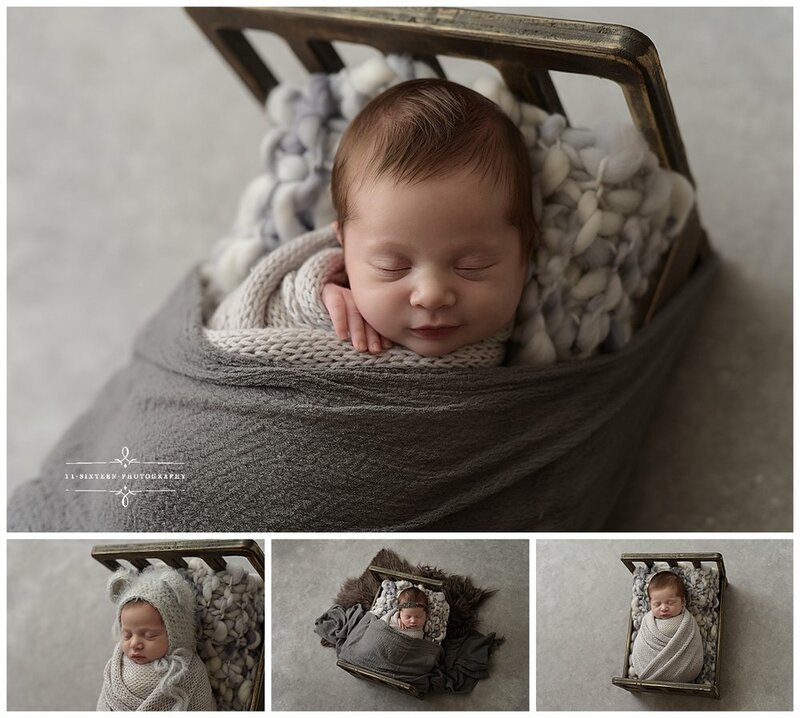 Abbott was snoozing soundly in this tiny bed at his Newborn Session in January. 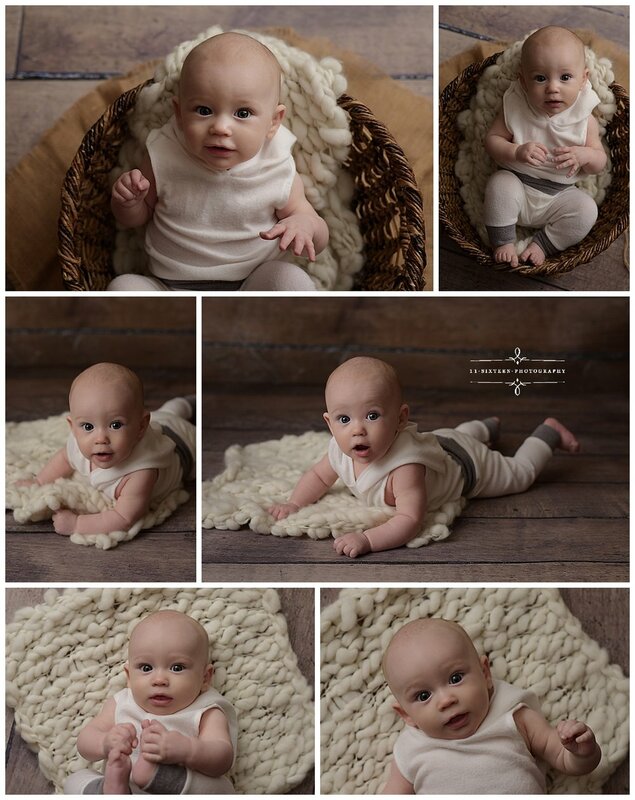 Gray and Ivory were the colors of the day for this photo collection. 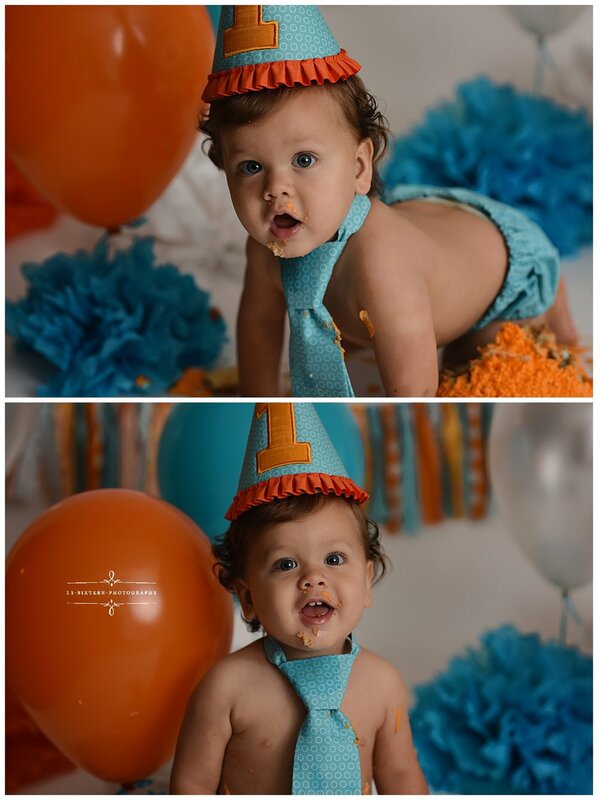 When deciding on colors for your session, we always recommend that you consider the colors in the room you will be displaying your photographs. 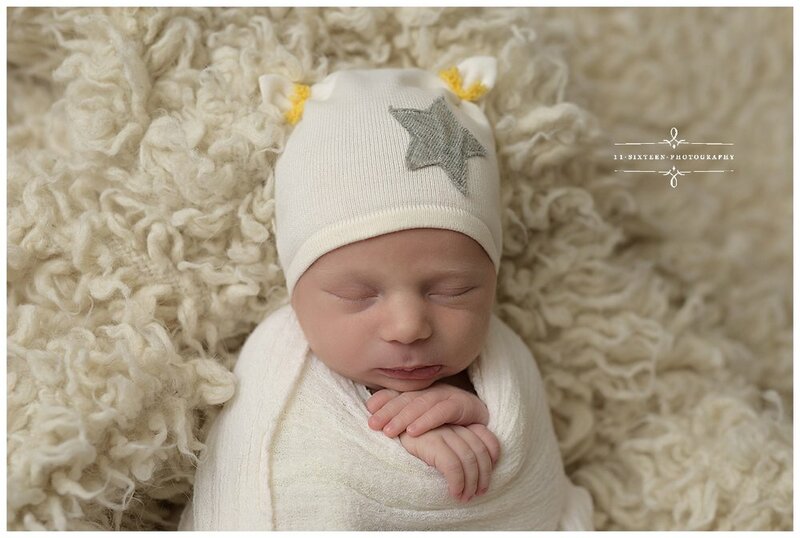 Want to hang a canvas in the nursery? 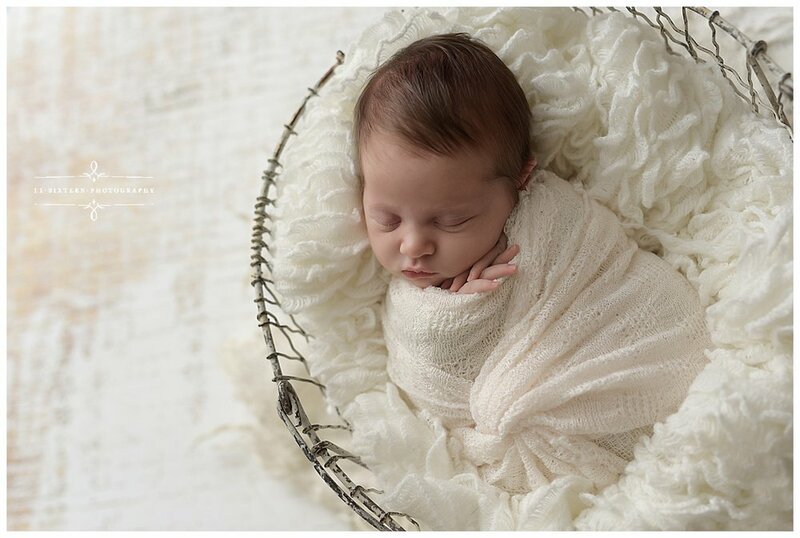 Be sure your chosen session colors will complement the rest of the nursery decor. 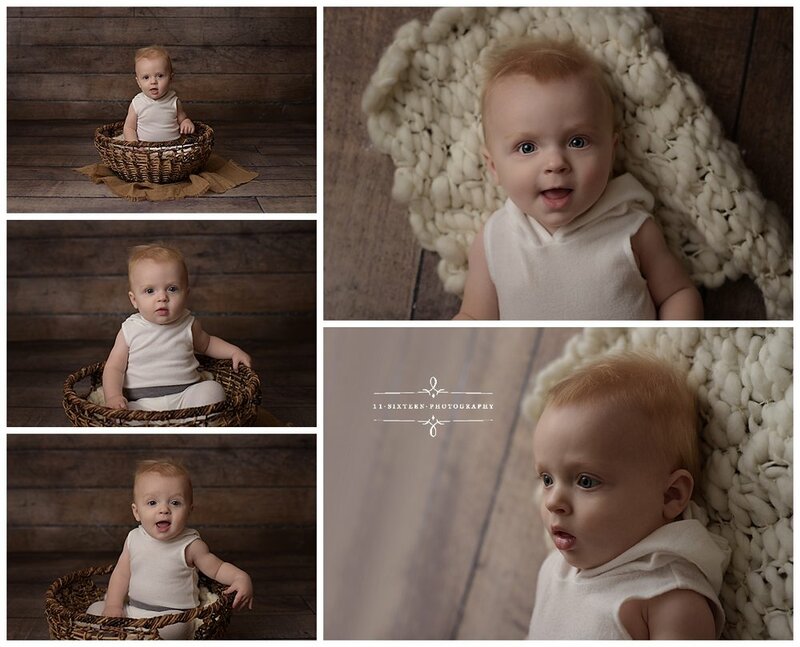 Colin was a happy, smiley baby for his 6 month session! 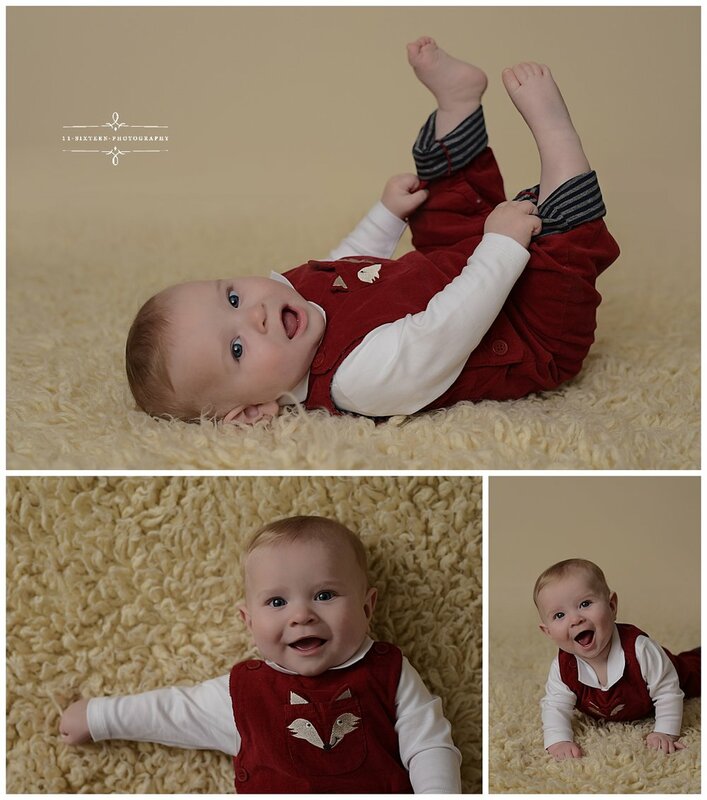 Neutral shades of gray and ivory with pops of red give Colin’s photo collection a cohesive look. With this age group, it’s always fun to stick them in a container of some sort! 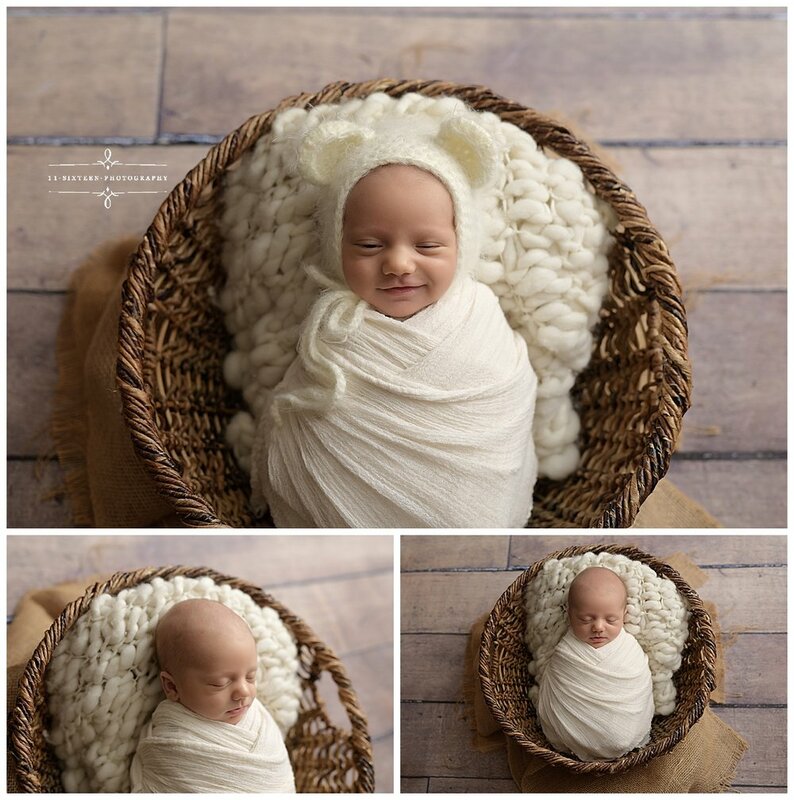 Not only does it make for adorable photos, but its a new and fun experience for them and usually elicits some sweet baby smiles. 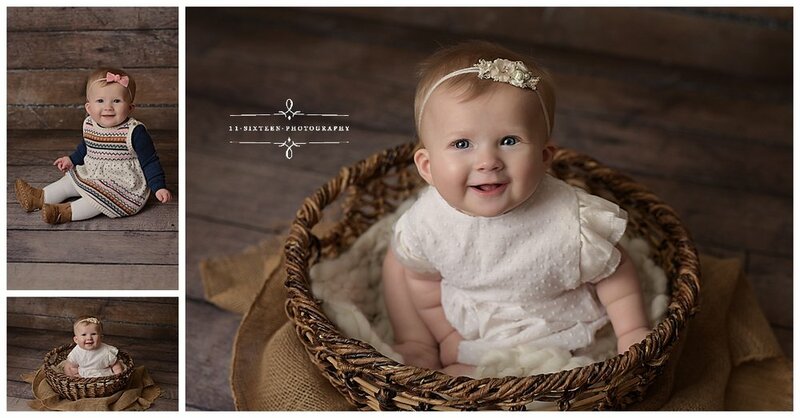 Here we used a rustic tub, a white wooden crate, and a wicker basket. 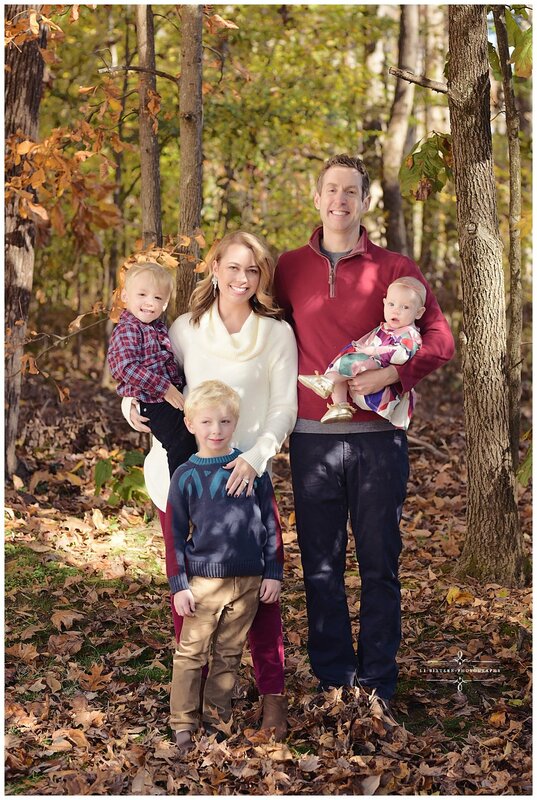 The Hall Family had a fun session in the studio this winter! 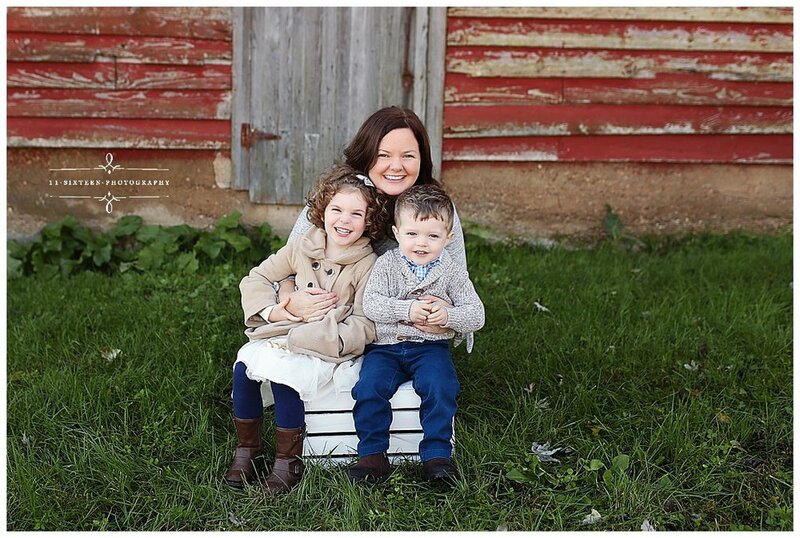 With Mom and the boys in ivory, gray and denim against an Ivory backdrop, Kelly produced some bright and classic family photos. 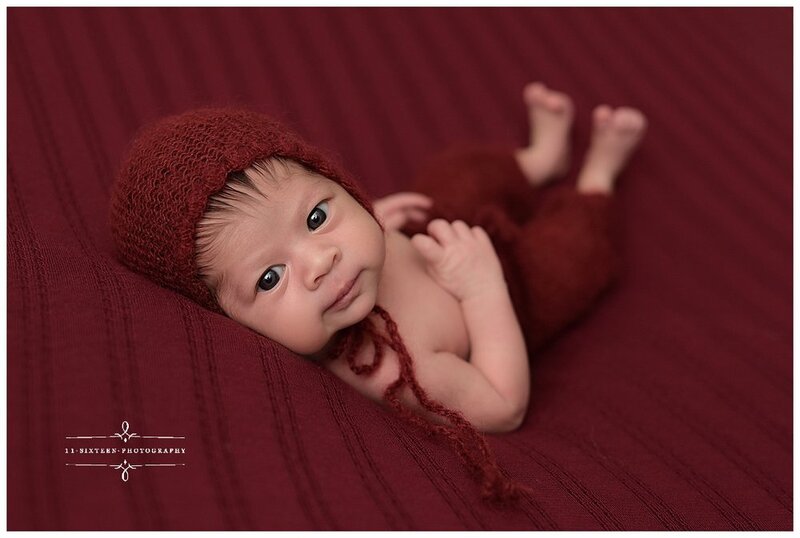 Our Worthdays Benefit Sessions held in January were open to Newborns and Babies up to 12 months old. 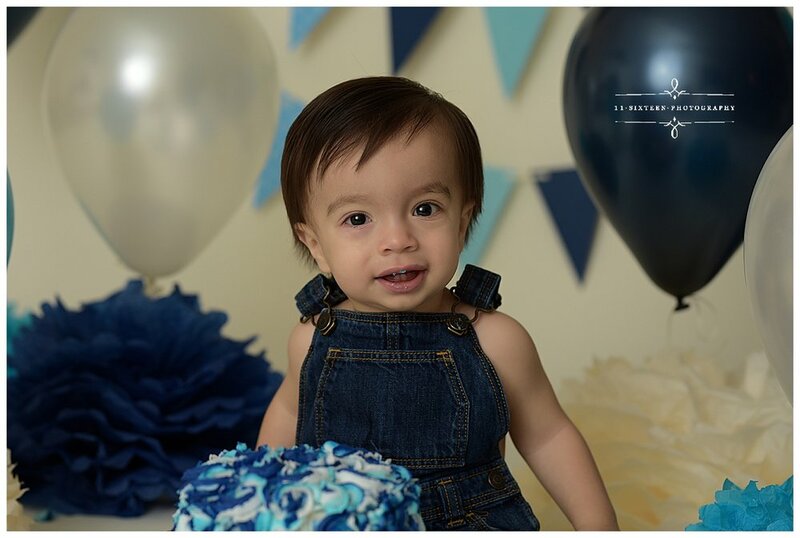 Worthdays is a non-profit founded by Caroline Neal, which aims to ensure that all children in the foster system feel important, worthy and celebrated, especially on their birthday. 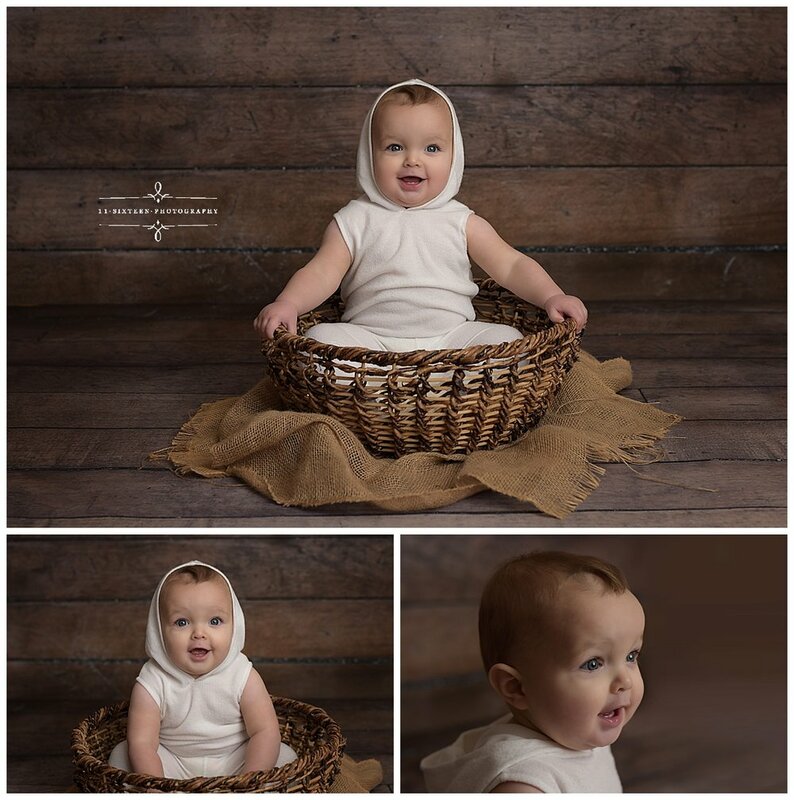 Kelly kept these sessions simple with shades of brown for the backdrop and props, and ivory outfits for the babies. Some parents opted to bring their own outfits, and that’s just fine, too! 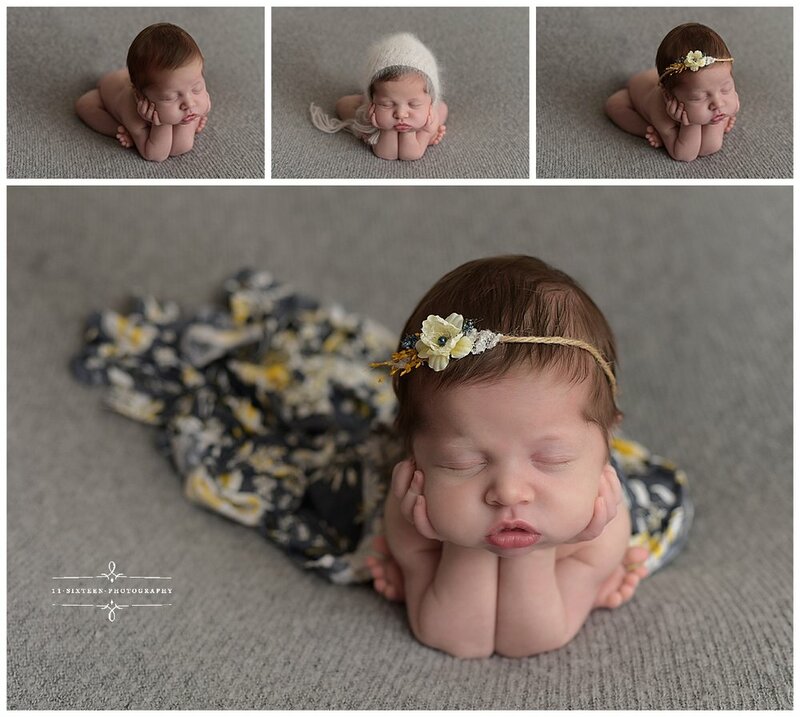 Scroll down to see some cuteness overload in the images below! The Worthdays Benefit Sessions brought in over $1000 in donations! If you’d still like to contribute to this cause please go to https://www.worthdays.org to see how you can help. What better time than the Holidays to get the whole family together for a photo op? 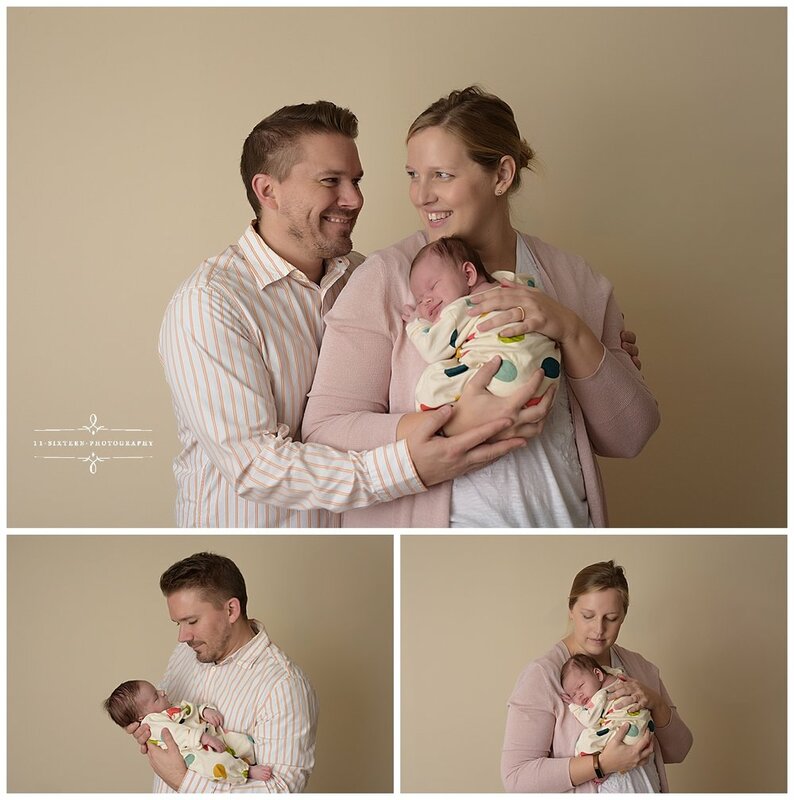 The Willis Family did just that this past Christmas and snagged some beautiful photos, including a few maternity shots! 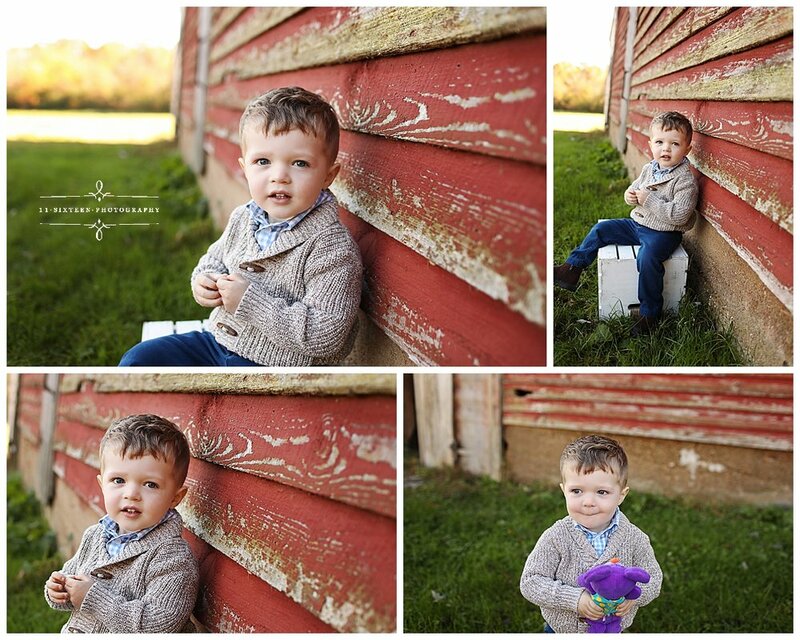 Two year old Matty came in for a Milestone Session in late October and brought some of his favorite toys along! How sweet is he cuddling his teddy bear? 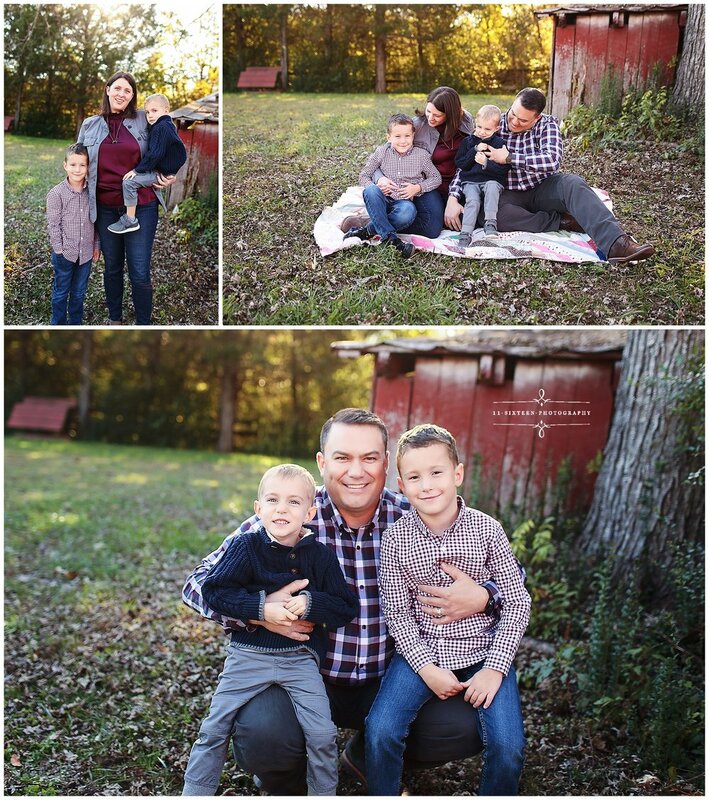 The Ward Family chose Navy, Burgundy, Gray and Denim for their Fall Mini Session with Denise, and it looks amazing against this red barn. 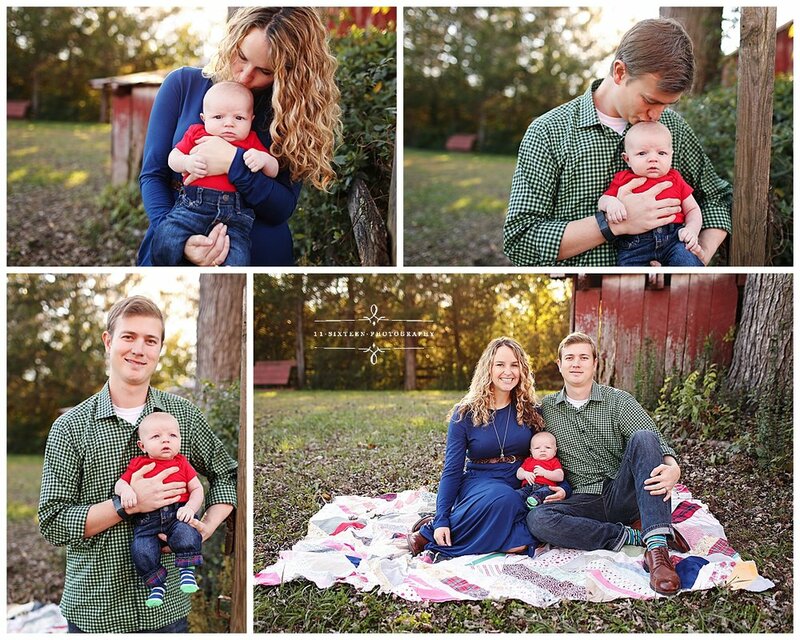 Dad’s plaid shirt brings the look together, while Mom’s solid top gives that pop of color! 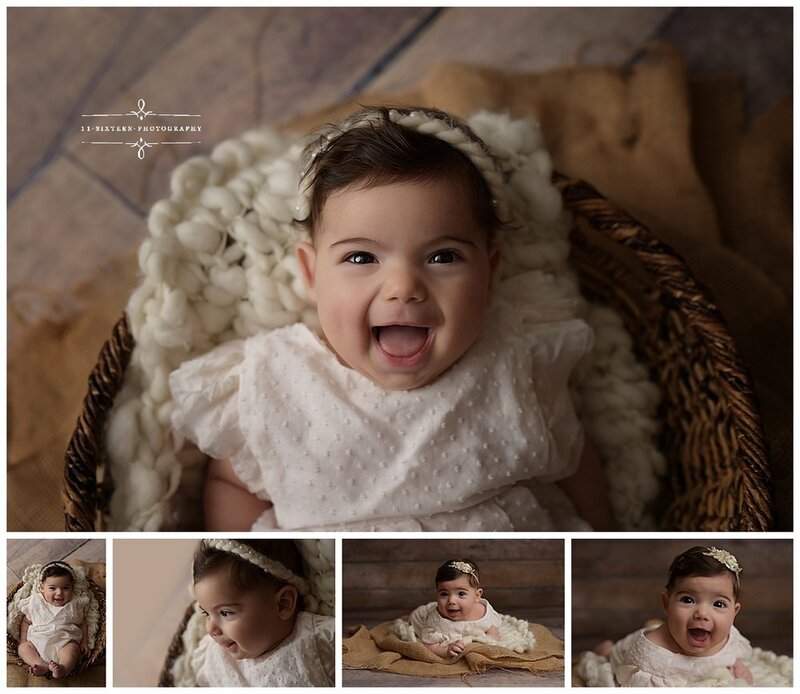 Our Mini Sessions include photos of the children alone, siblings together, parents together and the whole family. 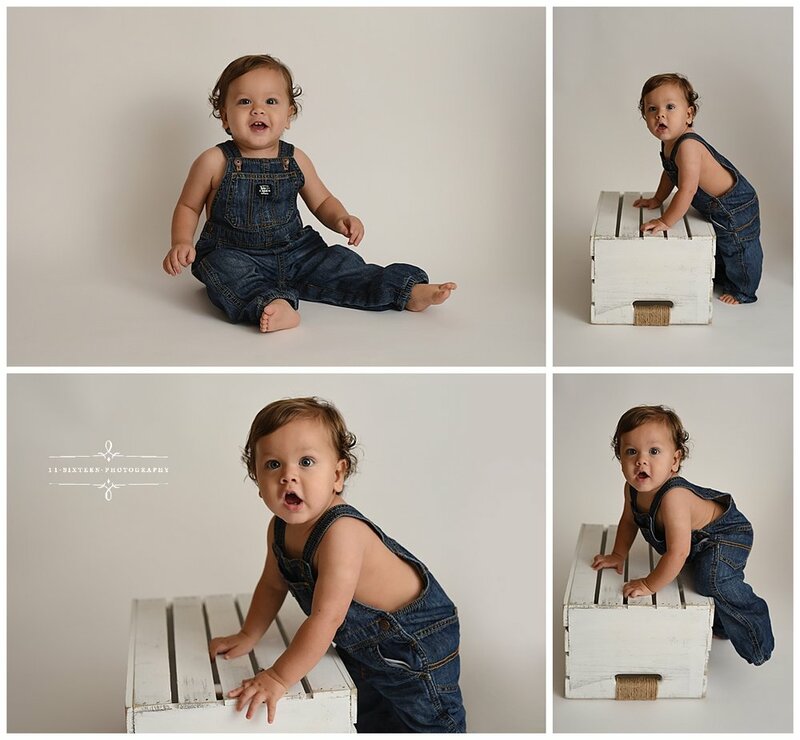 We are now booking our Spring Mini Sessions, so get yours booked today! 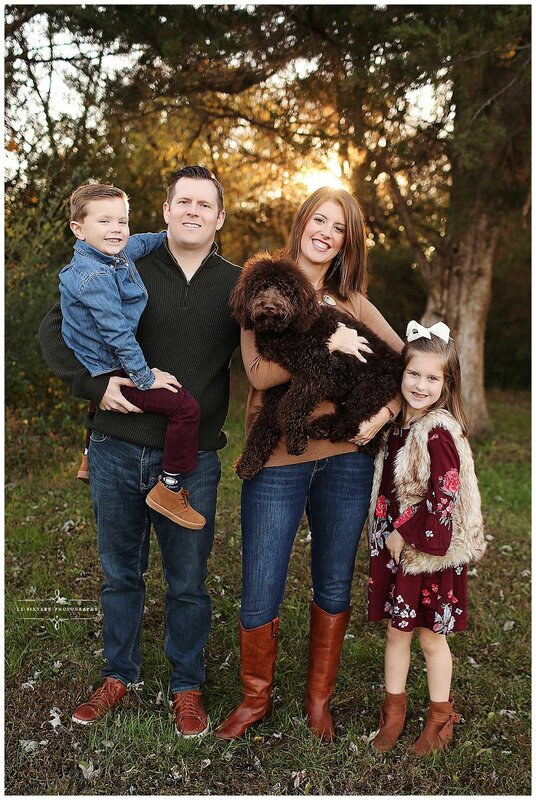 The Simmons Family had a Deluxe Mini session with Denise with the setting sun as a backdrop, and the golden glow in these photos is just amazing! 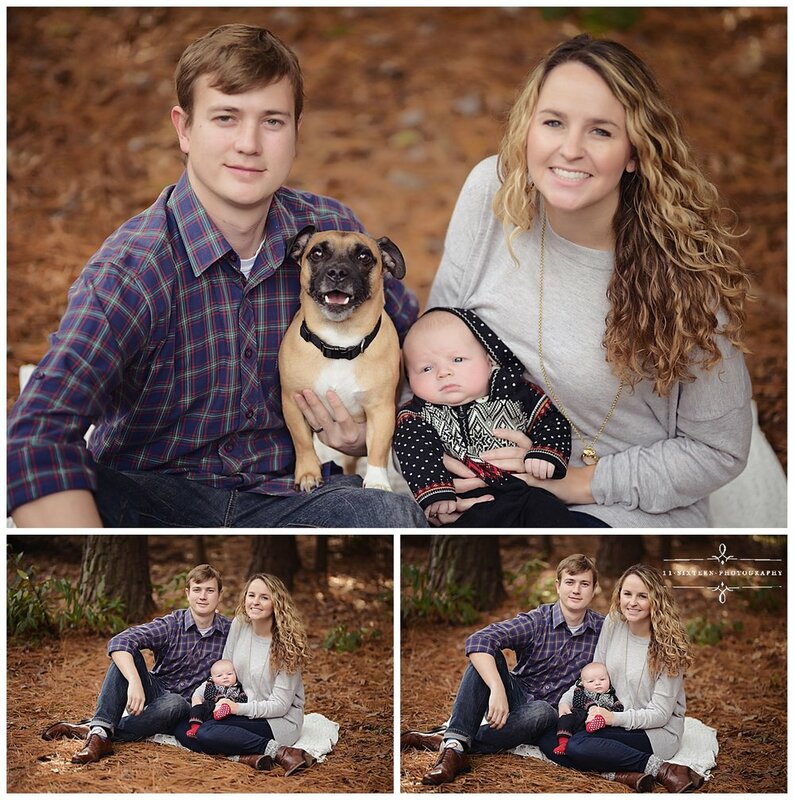 With a Deluxe Mini Session, you can bring along your fur babies, too! 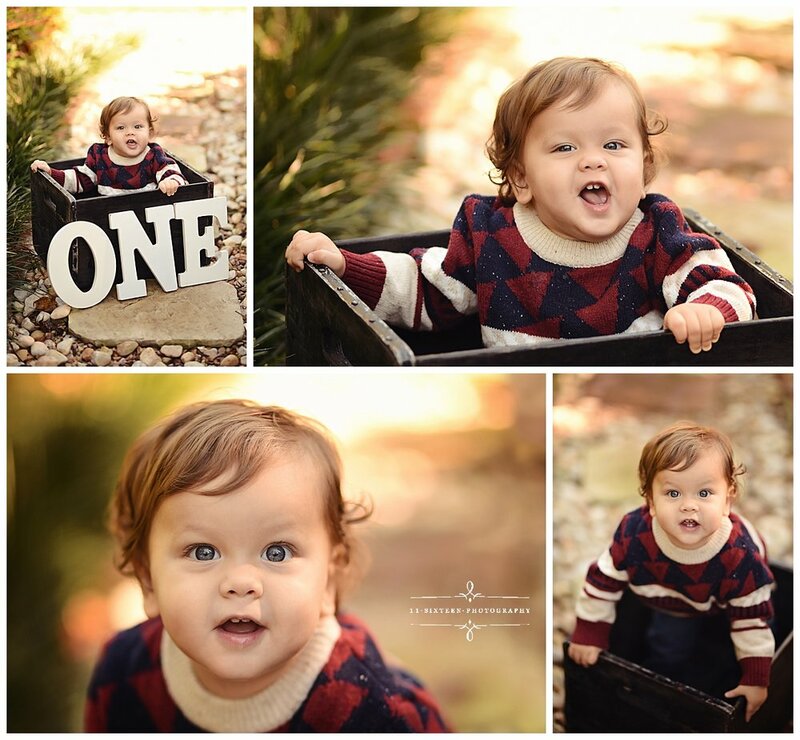 The McCurry Family met with Denise in November for this fun Fall Mini Session! 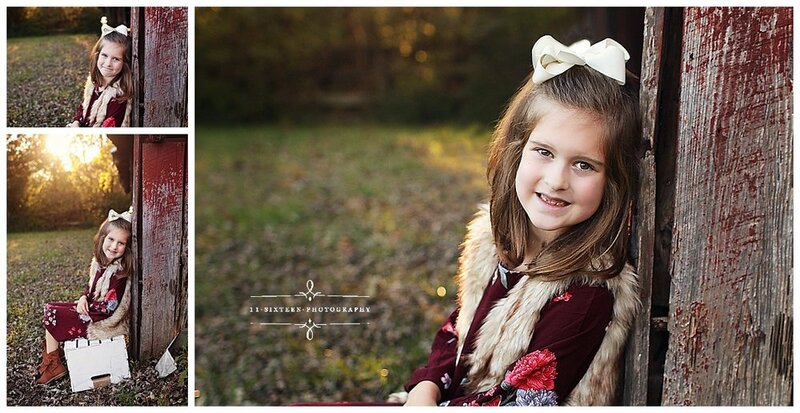 We love the kids’ outfits, especially that pea coat, dress and brown boots. I need that outfit! Big sister’s leggings match little brother’s jeans, and his sweater compliments her jacket. 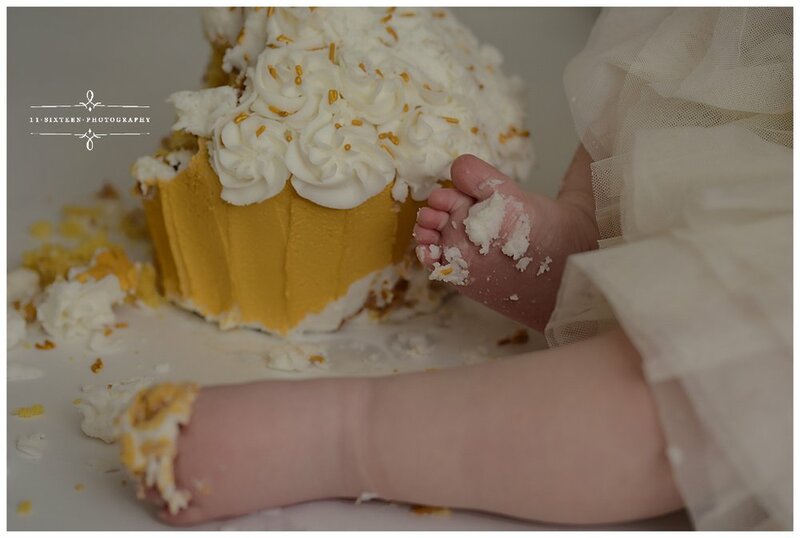 Mom pulls it all together, both literally and figuratively! 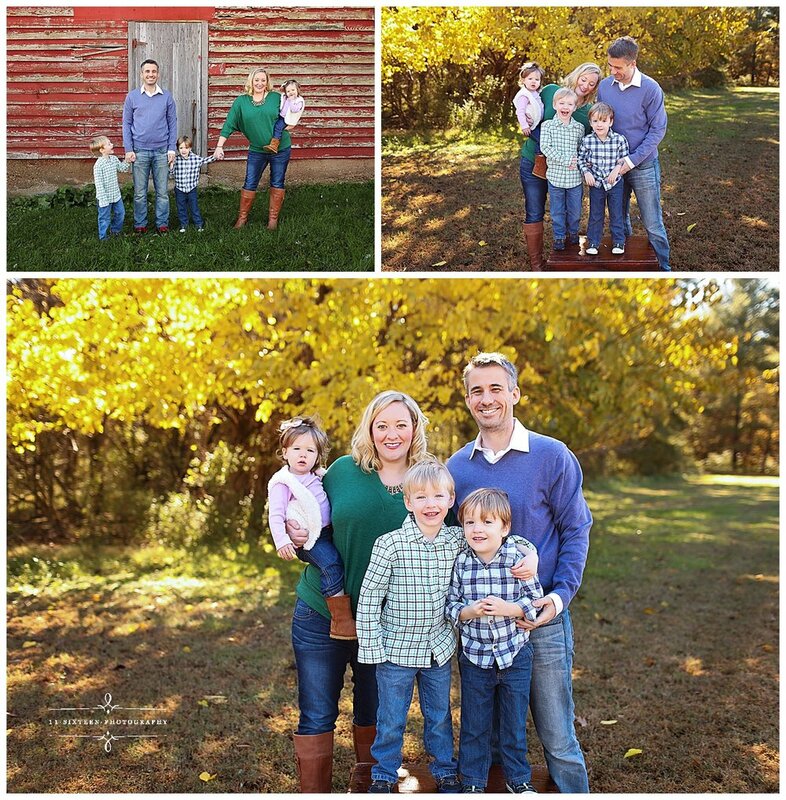 The Hite Family came out for a beautiful photo shoot with Denise at a private farm in Glen Allen. 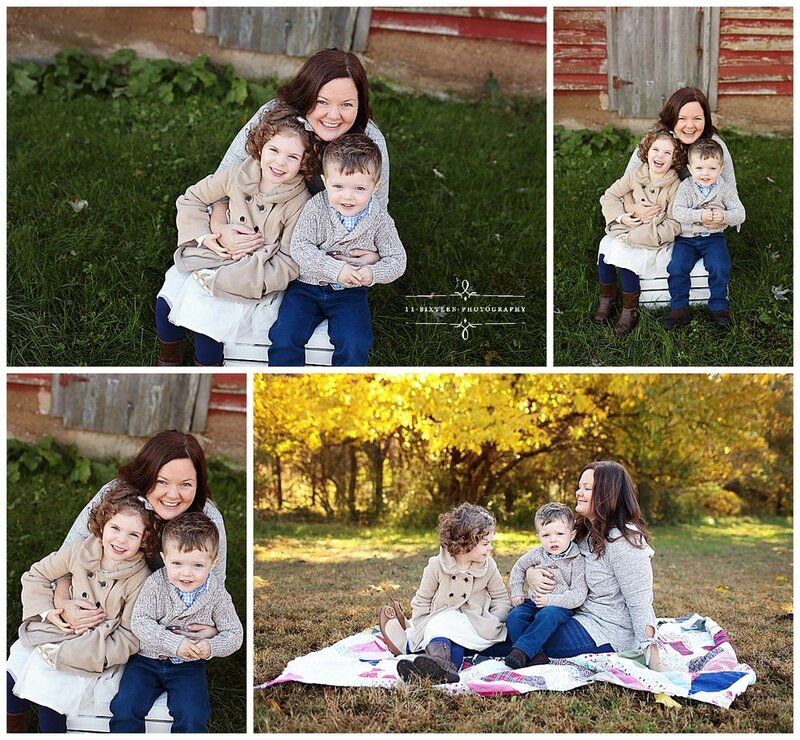 The golden sun and the old red barn make for a warm, beautiful backdrop to this new family. 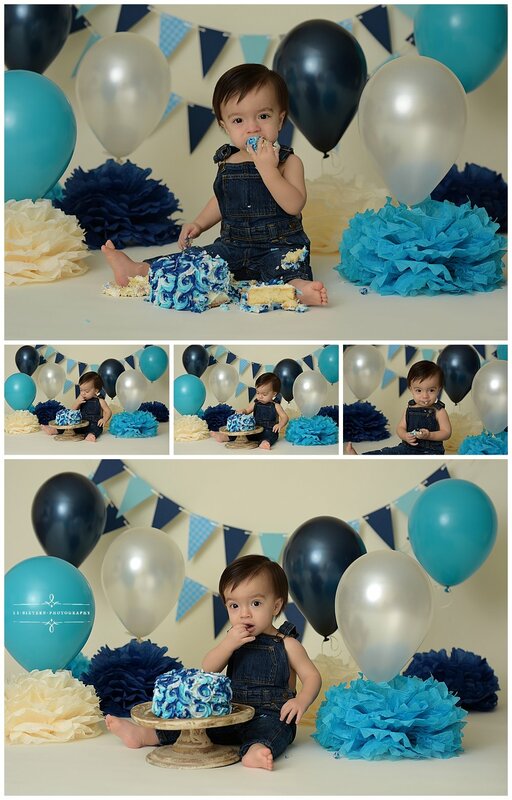 Notice how mom and dad chose colors that ever so subtly tie in with the little one’s jean cuffs! 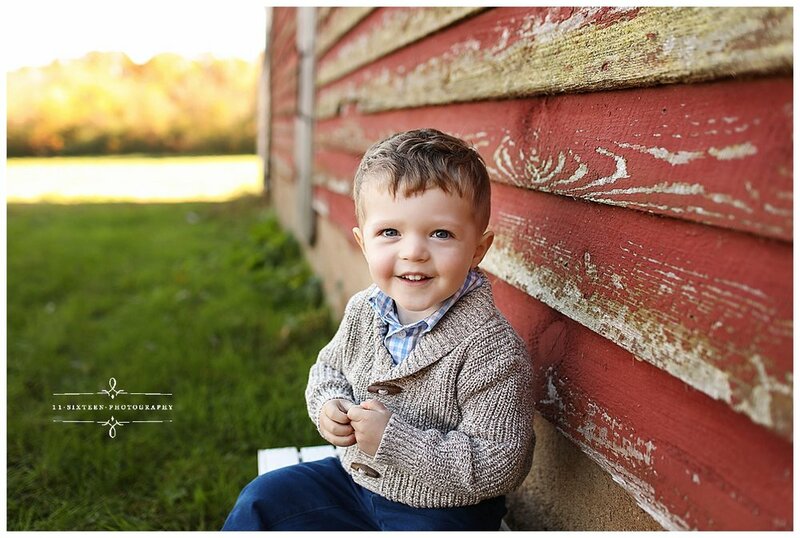 Pulling colors from a pattern is a great way to pull together a cohesive look for a session. Mom and Dad also brought along their Fur-baby! 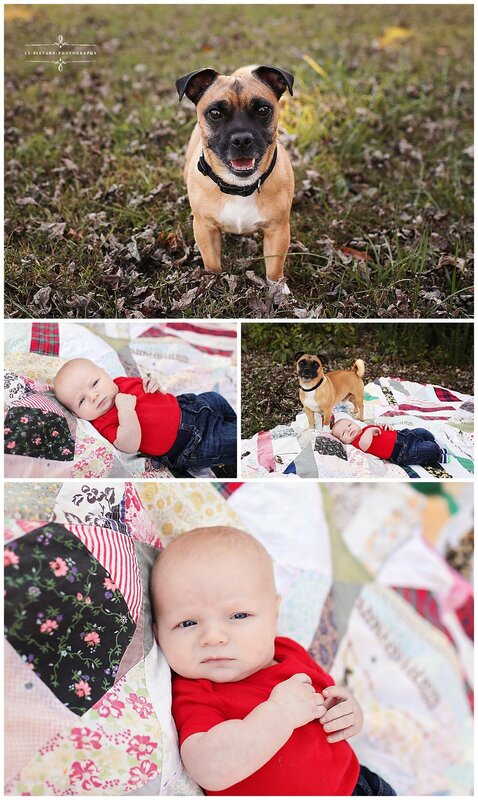 We have a feeling this sweet doggy will be protective of baby! 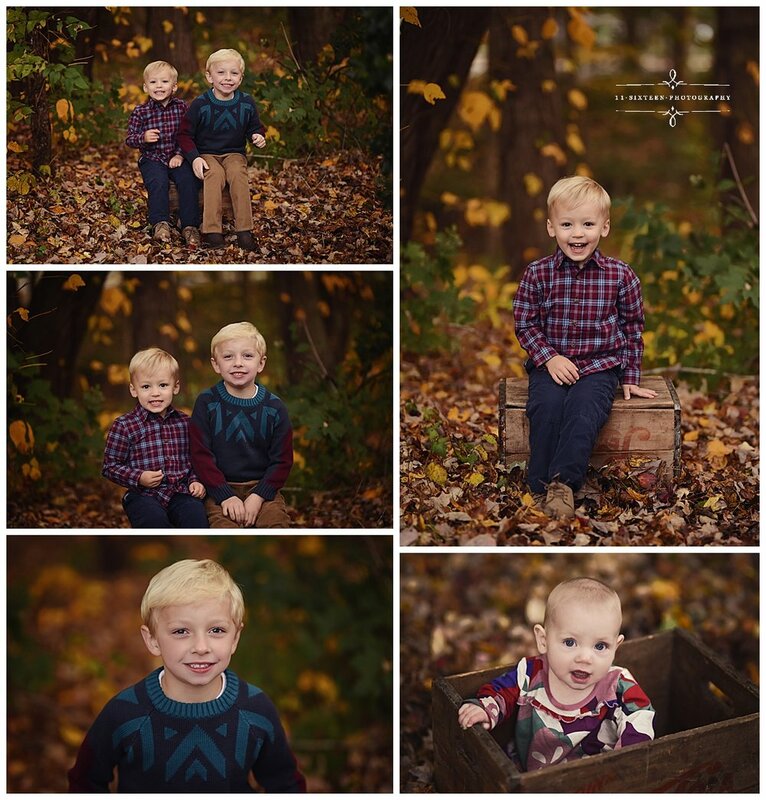 The Stanwix Family had a beautiful session both indoors and out! 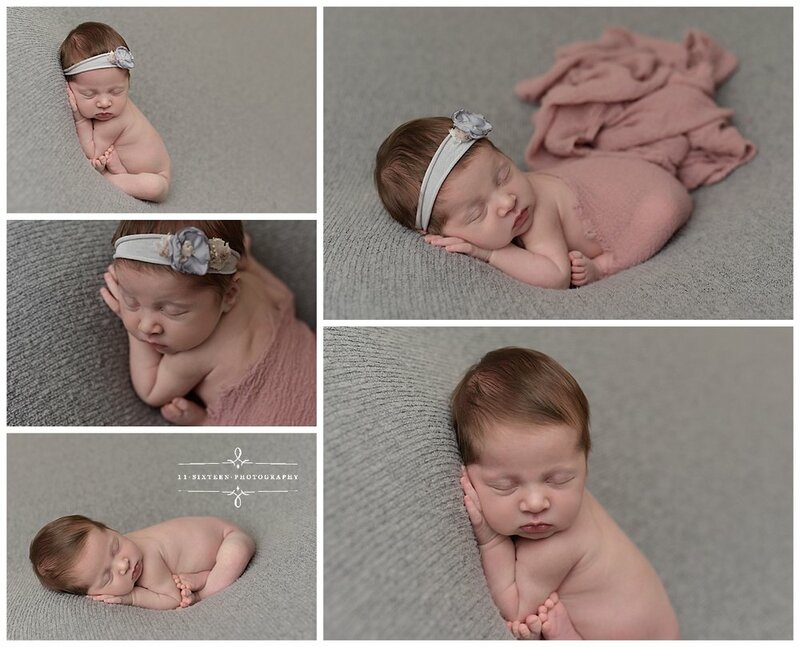 With a few photos at Foxhall, and a few more in the studio. 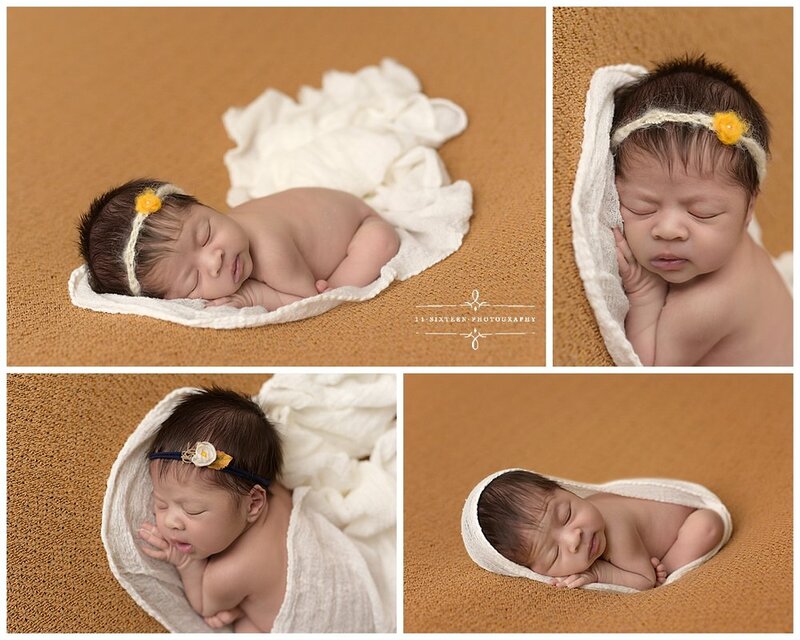 this Family ended up with a gorgeous gallery. 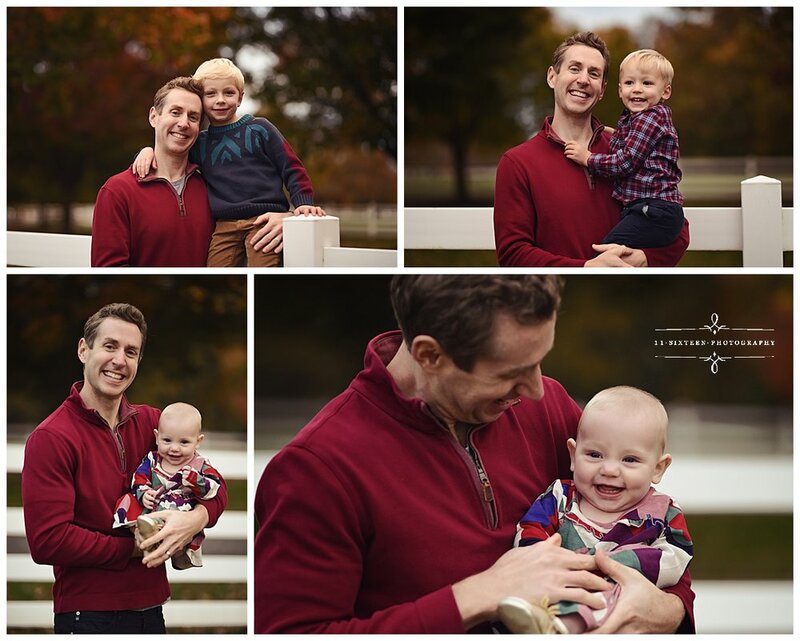 The Downing Family came out in style for their Fall Mini session with Denise! 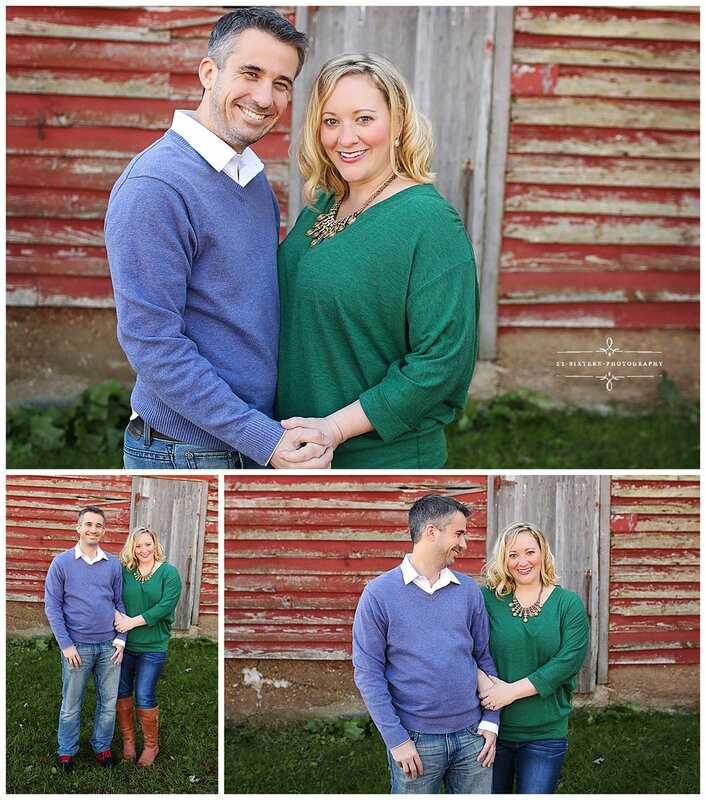 Mom’s emerald green top looks stunning against that red barn backdrop! 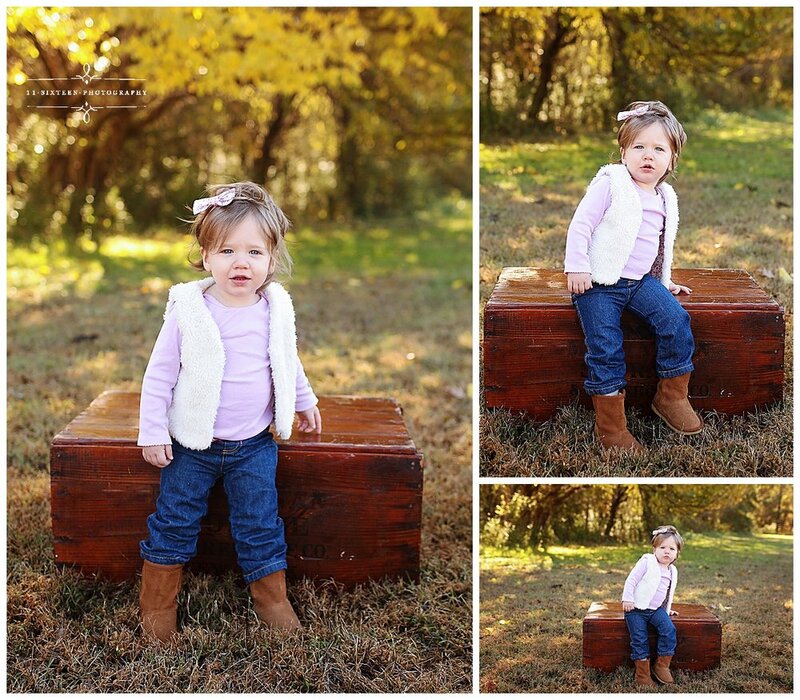 We love mom and baby girl’s matching boots as well. 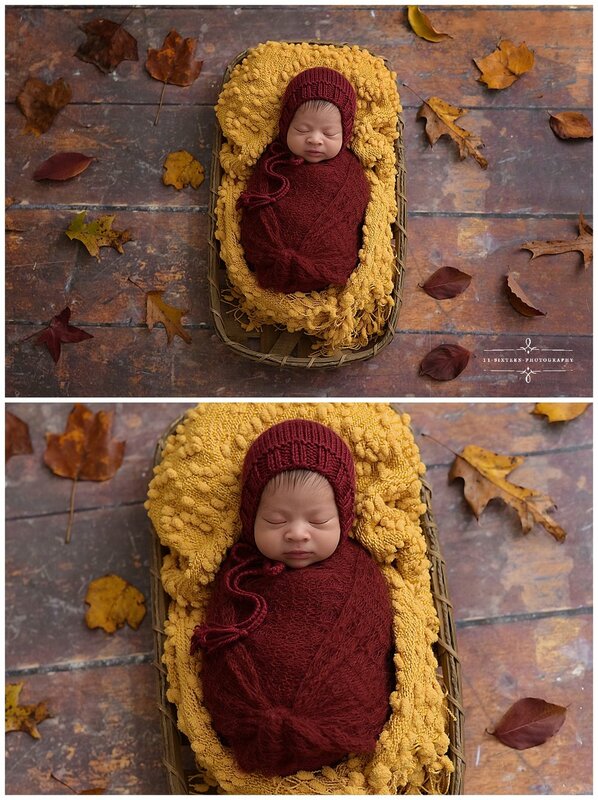 I also can’t get over those vibrant yellow fall leaves!